Sharan uses tarot cards as a divination tool to assist her in painting a story about your past, present and future. Your date of birth is required before the reading as it helps to provide a more tailored insight into your life. During her readings, she is guided with images, sounds as well as her intuition. 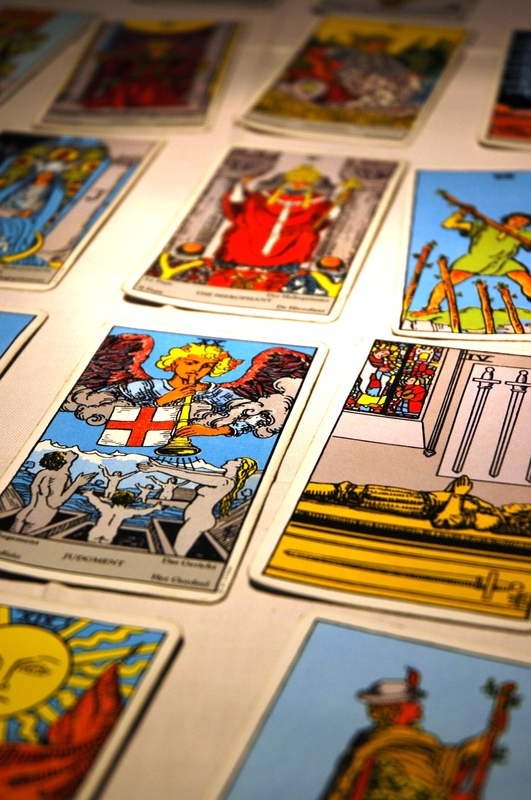 What is a tarot reading and when can you have one? The aim of each reading is to assist the querent in gaining clarity and understanding of their past and current situations and to see how it unfolds into their near future. Every querent should bear in mind that each reading is never set in stone and that they have complete free will to change the course of things in their path ahead. Having a reading can help when you are faced with a dilemma or have a tricky decision to make, feeling stagnant in your life, uncertain as to which path to take in a forked road or just to gain an understanding of the characters in your life. Sharan will help to shed light on why you are in the position that you are and then offer possible resolutions and outcomes which you have complete free will to change at any time. Her readings are able to cover all aspects of your life (emotional, career, finance and business, relationships, spiritual). Sharan does personal as well as corporate readings and some of her famous clients include the troupe of Cirque du Soleil! Please write to her for a quote for corporate functions. How are her readings conducted? Her readings are conducted via face to face Skype, Face Time or Facebook Messenger sessions. A full reading lasts between 45 mins to 1 hour. All payments are made via Paypal prior to the reading. Questions only – £8 per question. You will also receive a recording of your entire reading for each session.